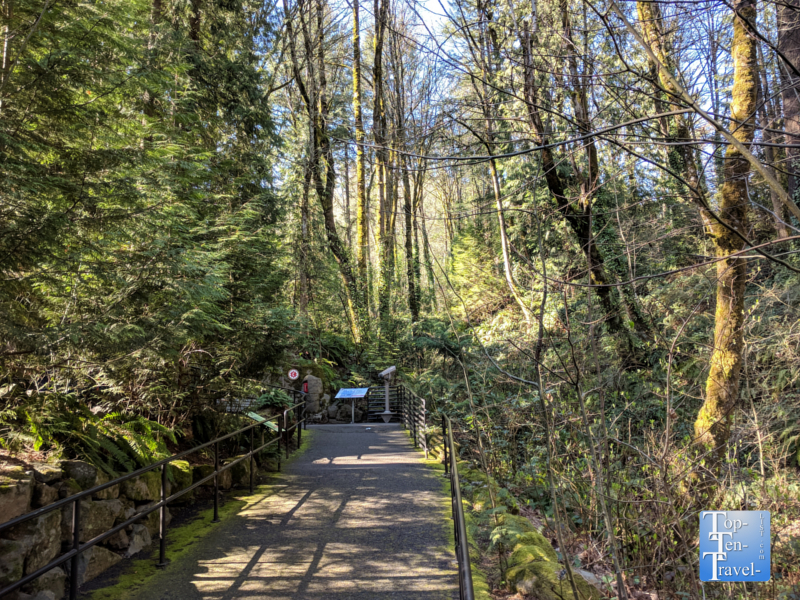 Attraction of the Week: Washington Park in Portland, Oregon - Top Ten Travel Blog | Our experiences traveling throughout the US. Washington Park is a massive urban park just a few miles outside of downtown Portland. 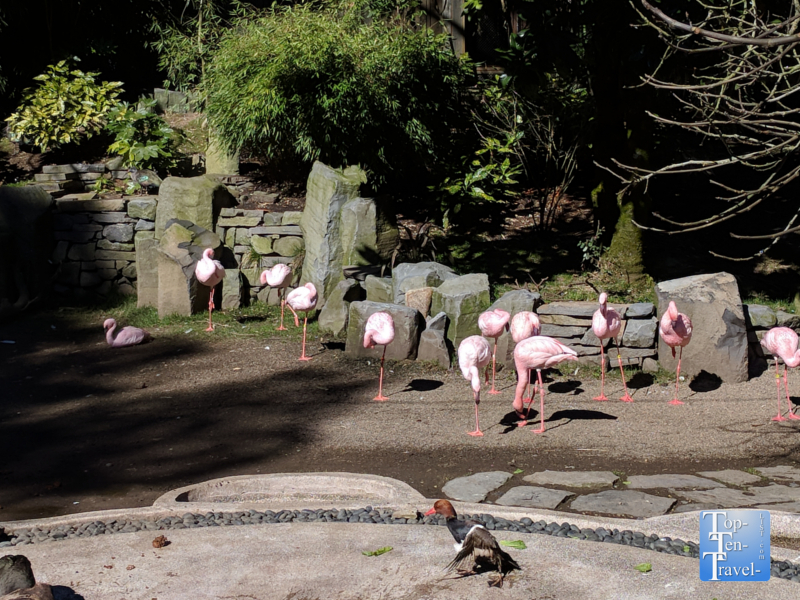 Featuring the Portland Zoo, the Portland Japanese Garden, the Hoyt Arboretum, the International Rose Test Garden, and the Portland Children’s Museum, it is definitely one of the best attractions for tourists to check out while in town. 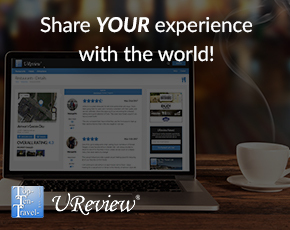 This is really a great place as you can explore the best-of-the-best the city has to offer all in the same convenient location. 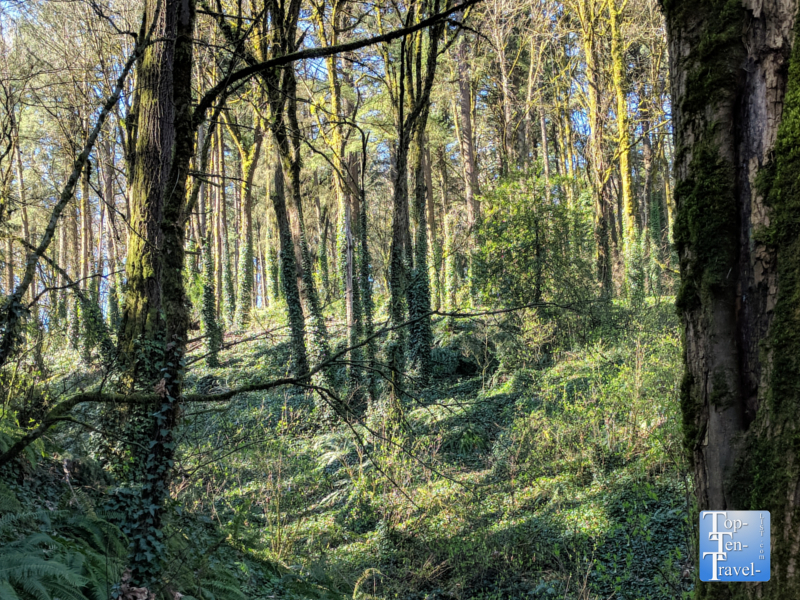 Not surprisingly, Washington Park is one of the city’s most popular attractions, with locals & tourists alike, and you can easily spend the whole day in the gorgeous natural surroundings. 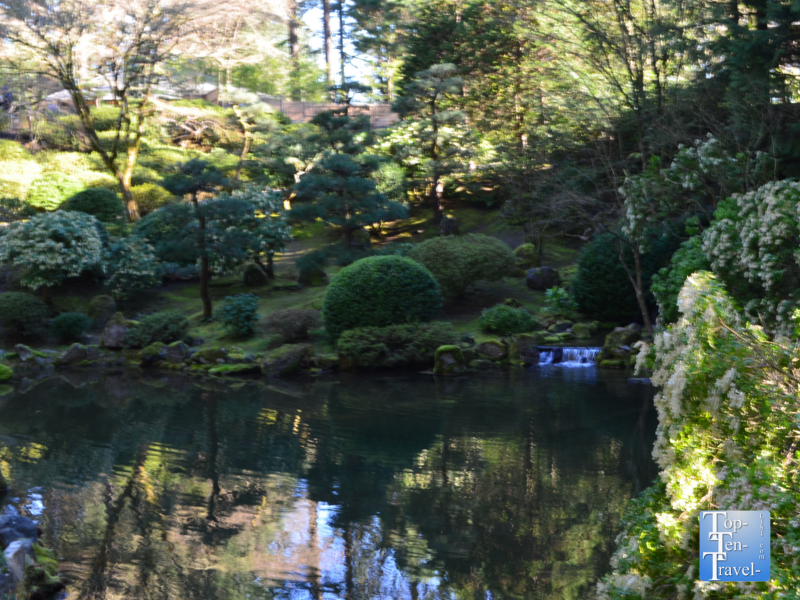 The highlight of Washington Park is the Portland Japanese Garden, which is the most gorgeous garden I’ve ever come across. If you only have time for one activity, this is definitely the place to bump near the top of your must-do list. 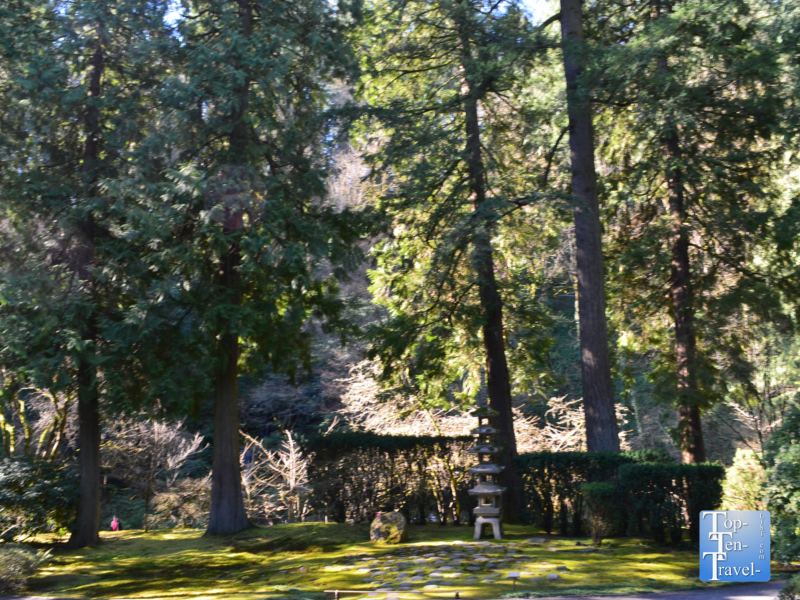 There are 8 gardens here, all connected via a peaceful strolling path. All the gardens are meticulously maintained with lush plant life everywhere. 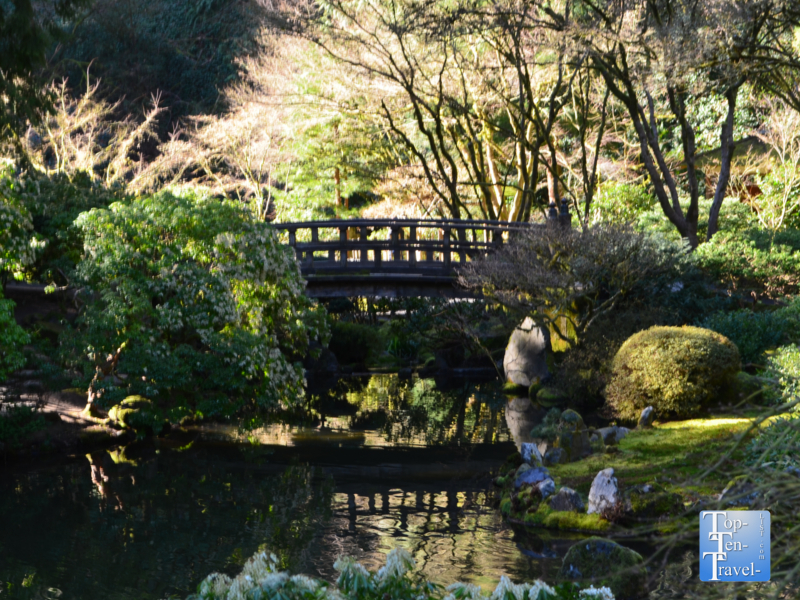 A Japanese Garden incorporates the 3 elements of stone (the “bones of the landscape”), water (due to its’ life giving properties), and plants to showcase seasonal changes. 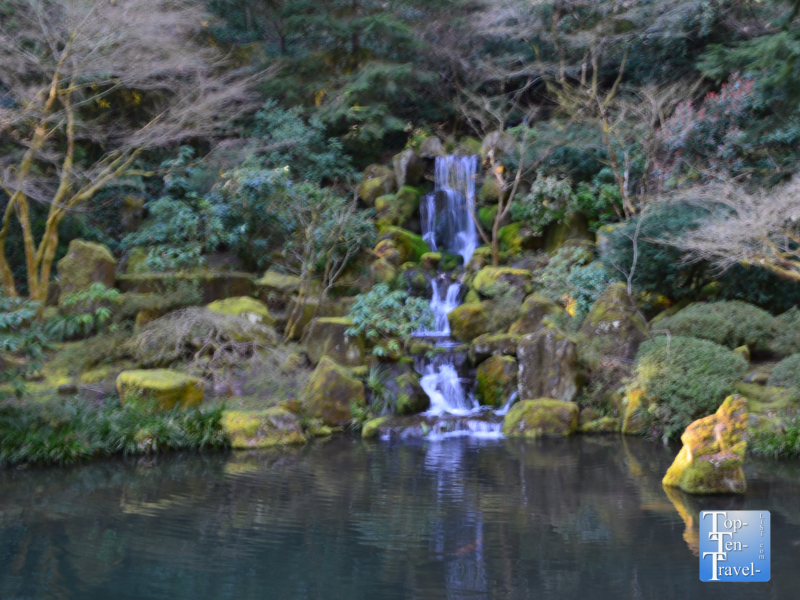 The Portland Japanese Garden is the ideal place for anyone who appreciates nature. It’s so lush and green. 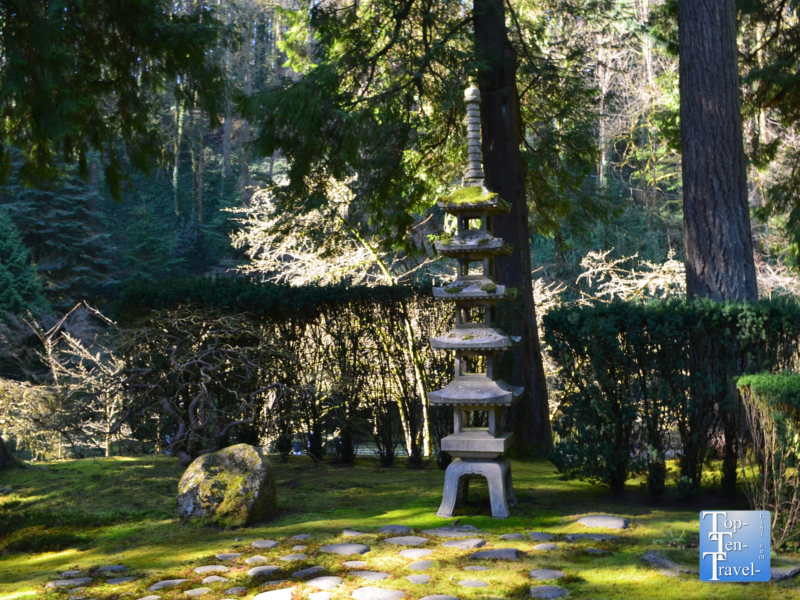 Asides from the beautiful plant life, there are many peaceful streams and waterfalls, a Koi pond, and a fantastic overlook with grand views of Mt Hood (on a clear day). At 11,249 ft, Mt Hood is the largest mountain in Oregon. The strolling pond garden with the iconic moon bridge is post card picture-perfect. Get here early in the morning *before it gets too crowded) so you can take get a photo in the mesmerizing setting minus the crowds. In the fall, the ponds are surrounded by gorgeous fall foliage. The lower pond is home to the enchanting Heavenly Falls. 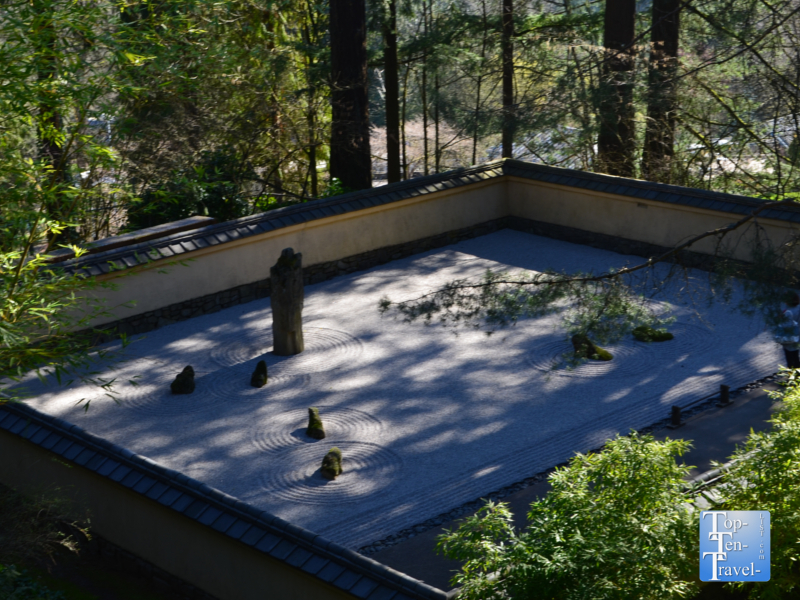 The karesansui sand and stone gardens are really unique. 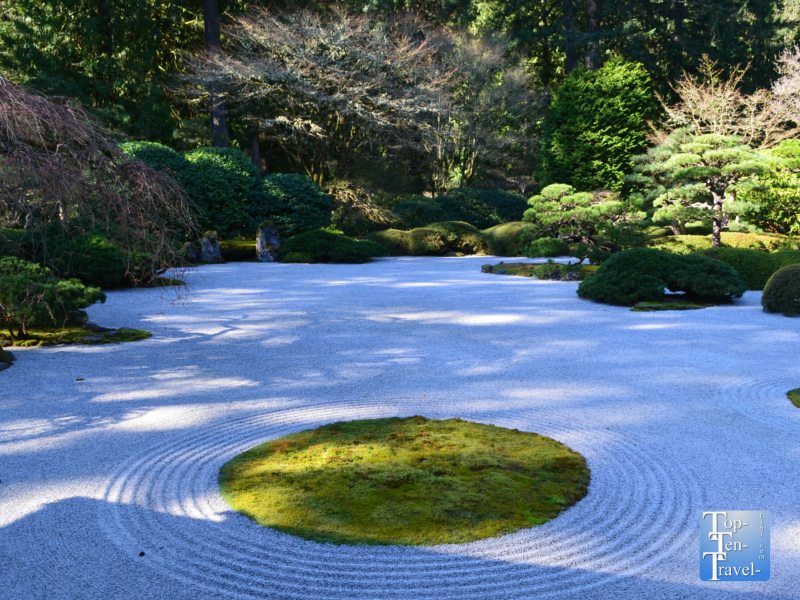 Anyone who has a zen garden in their home or office will appreciate this grand version. 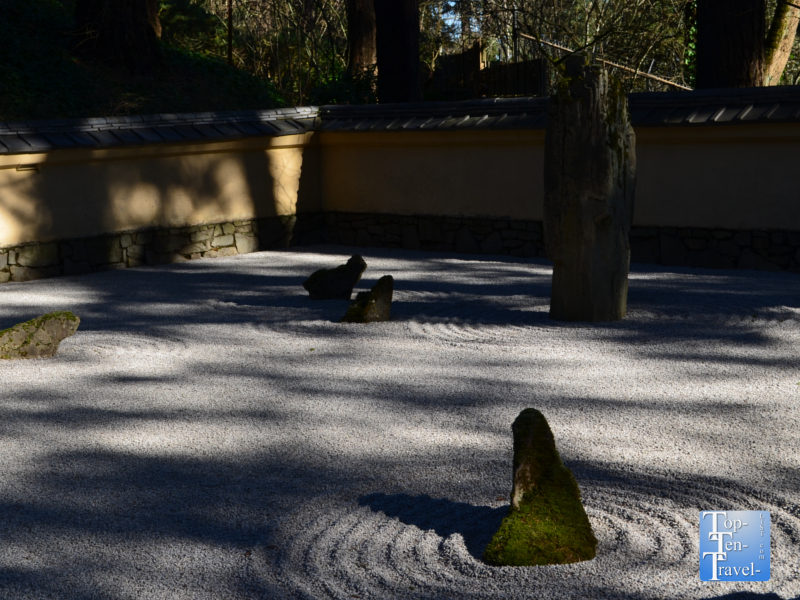 On an interesting history note, these Japanese Gardens were developed by monasteries for contemplation, not meditation as commonly thought. Care of the garden was part of the monk’s daily practice. 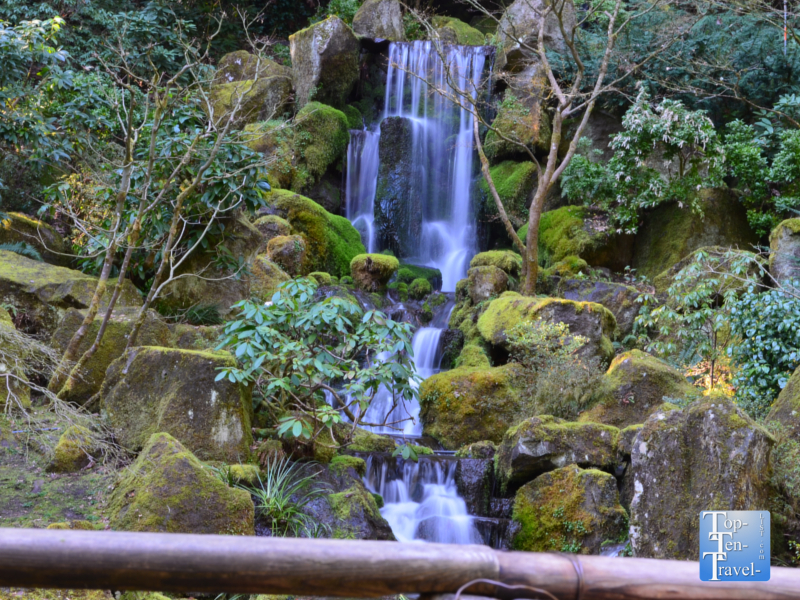 The Natural Garden was designed in a style known as zoki no niwa. 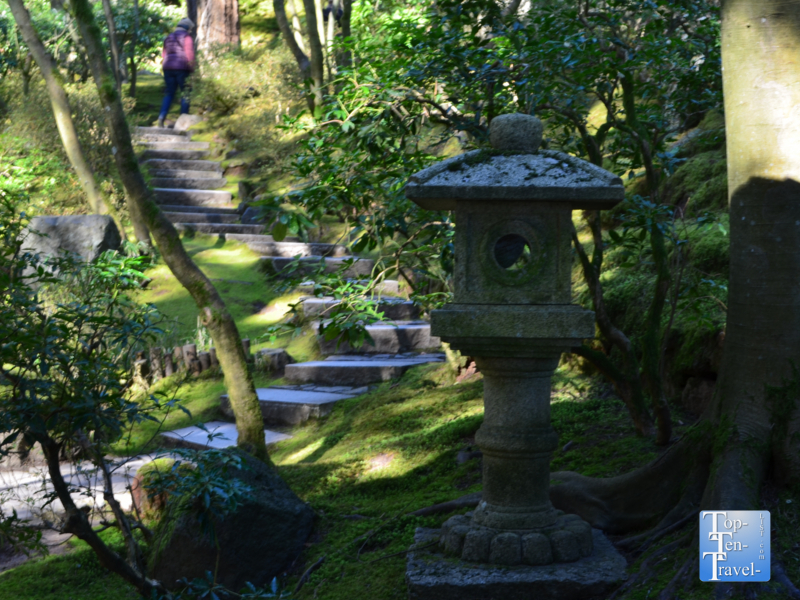 Basically, this means that the garden incorporates both traditional Japanese plants, as well as those not typically found in Japanese Gardens. 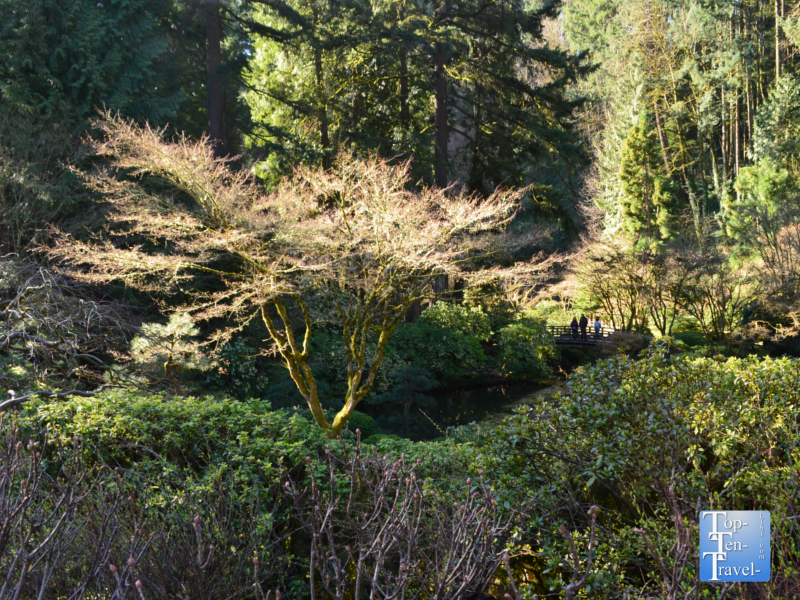 The garden is very dense and lush with the incorporation of native Pacific Northwest plants like the vine maple, as well as deciduous trees which give the garden a new changing look with each season. 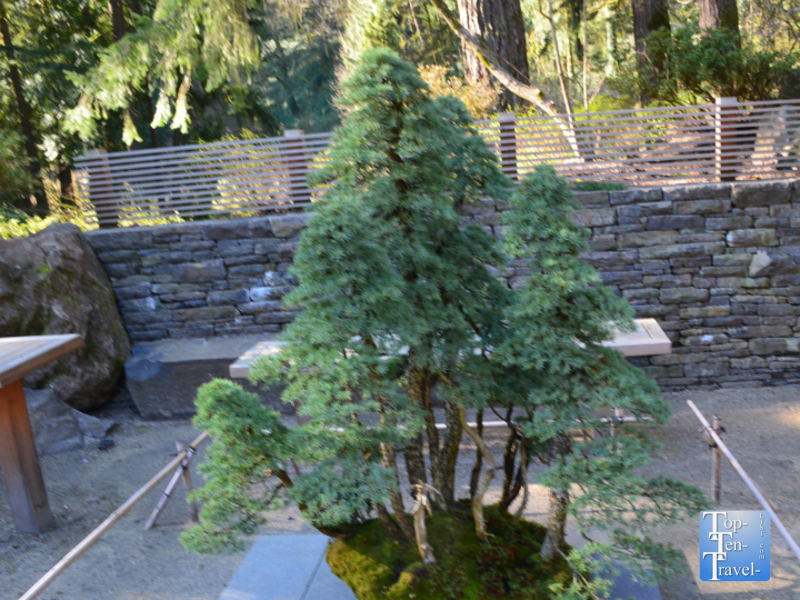 The bonsai terrace features a rotating selecgtion of bonsai from local practioners. These unique trees require much patience and skill to grow, however, the ending result is both unusual & fascinating. Another must-do while visiting the garden is treating yourself to a traditional Japanese tea experience at Umami cafe. Here you can enjoy authentic Tokyo-based tea from the Jugetsudo tea company while enjoying the beautiful natural views via the large glass windows. 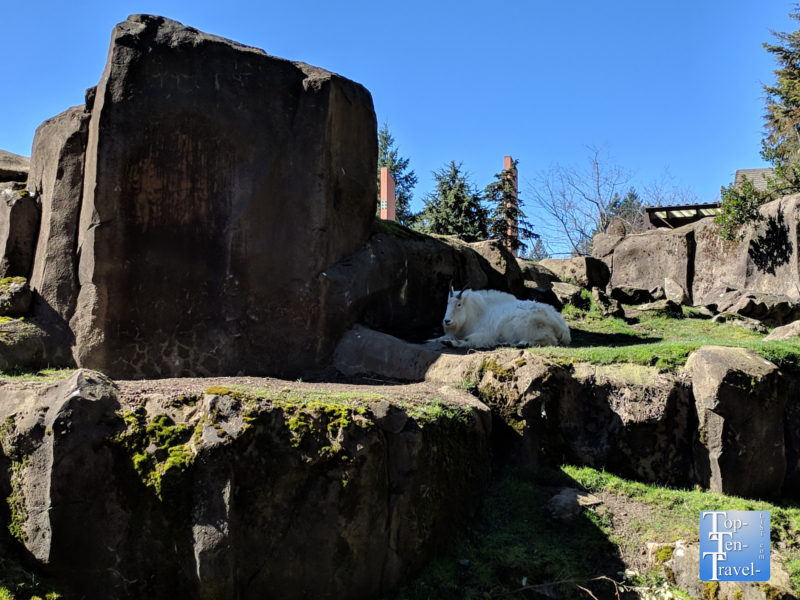 Visiting the Oregon Zoo is another attraction to add to your Washington Park itinerary. Strolling around this wonderful mid size zoo (64 acres) is the perfect way to enjoy the beautiful natural surroundings of Oregon. This zoo is gorgeously landscaped and home to a diverse variety of animals (more than 1800 animals including 19 endangered species). Unfortunately, due to the extremely crowded nature of the zoo on a rare sunny warm day in March, I was unable to get as many photos as I would have liked. There are lots of interesting exhibits including a few indoor viewing areas which come in handy during the rainy season. The zoo is nicely laid out, although quite spread out so you will be doing a lot of walking. This really is not a bad thing as you will get in a nice little workout and have a longer day out, making the hefty admission fee a better value. The Great Northwest section of the park is particularly interesting as it houses plants and animals native to this region of the country. 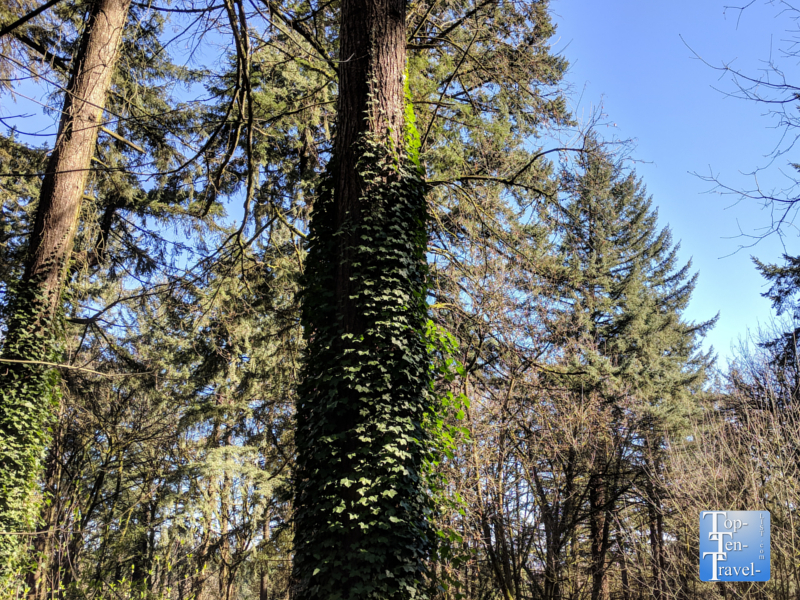 The towering Douglas firs, and the black bears often seen climbing them, make you feel as if you are hiking in the woods rather than visiting a zoo. The entire zoo feels much more rustic and natural than most others I’ve visited. Another highlight is the beautiful underwater sea lion exhibit. This is a great place to escape the rain for a bit or simply relax for a bit after being on your feet all day. A New Polar Passage exhibit with lots of unique viewing opportunities is opening in 2020, so this is definitely something to check out in the future. 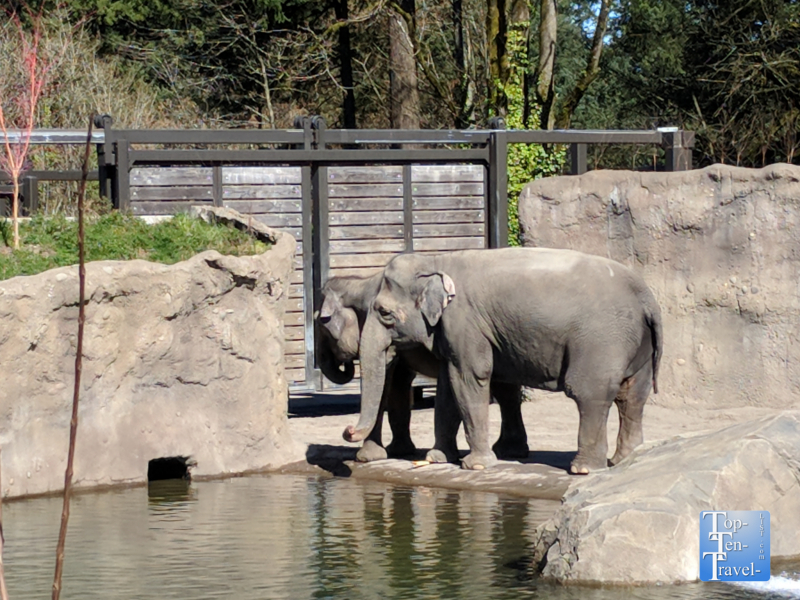 The world class Elephant Lands Passage exhibit, currently home to 4 endangered Asian elephants, is particularly impressive and a favorite of locals. This massive exhibit features a 160,000 gallon pool, time released feeders, mud wallows, and shade structures. These features encourage the elephants to be active for 14-16 hours a day, just like they would in the wild. For an extra 4 bucks, you can take a ride on the Washington Park and Zoo Railway. It’s really worth the extra cost as you can kick back and relax as you travel through a beautiful forest with towering trees. Although few animals are seen as the train runs mostly through the natural woods of Washington Park, it’s a great ride for any nature lover. Rides operate on weekends only from April- Memorial day and then daily until Labor Day. Where to eat: There are plenty of nice picnicking areas or you can relax on the beautiful shady outdoor deck of Cascade Grill, which offers a variety of meals using locally sourced ingredients. If your visit falls in the summer (May-September), you will definitely want to check out the International Rose Test Garden. This beautiful space is dedicated to displaying 7000 roses of 550 different species. It costs nothing and is a great way to enjoy Portland’s beautiful summer season. As Washington Park is pretty massive at 400 acres and attractions are pretty spread out, the seasonally run free shuttle comes in handy. 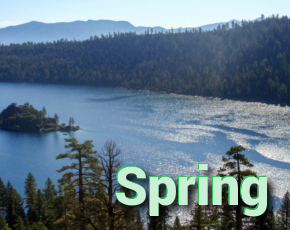 It runs every day from 930am-7pm from May-September and on weekends only in April & October (from 930am-5:30pm). The shuttle runs every 15 minutes and stops at all major attractions. Outside of the season, you will have to take the TriMet MAX Light Rail Red or walk between attractions. Another option is to use the wonderful hiking trail system. If you are a fitness buff and/or nature lover, you can combine a nice hike in the beautiful Oregon wilderness with the various attractions. The 30 mile long picturesque Wildwood trail runs a section through the park, as do a number of other trails. We connected 2 trails (the 4T and the Wildwood) for a nice hike of just over a mile or so from the Rose Garden to the zoo. It’s a nice stroll through the woods if you are up for a hike, especially when the weather is nice, not to mention a fantastic workout. Overall, Washington Park is a wonderful place to spend the day out in nature. All of the attractions are outdoor based, plus there are tons of trails, picnicking areas, parks, and even an archery range to explore. You really cannot go wrong with adding a visit to Washington Park as part of your Portland itinerary. 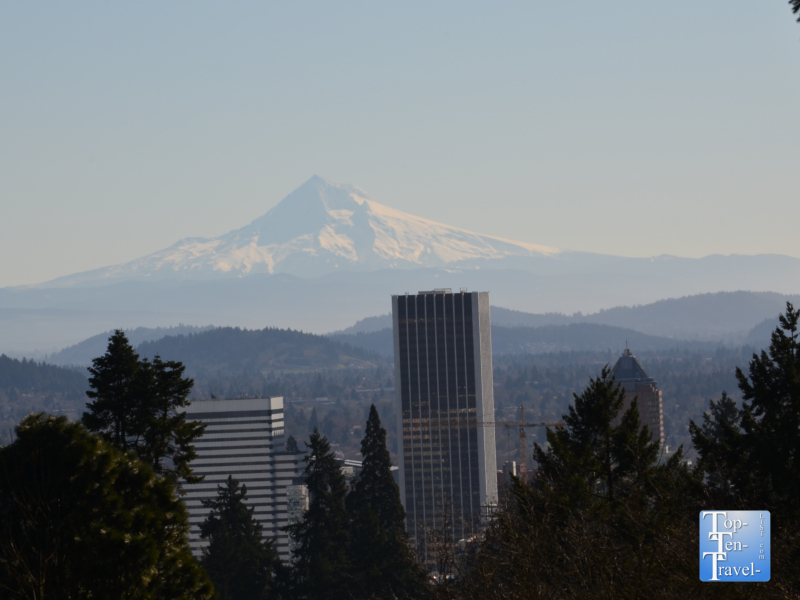 For those staying downtown, the park is a nice way to explore some of the natural surroundings of Oregon without a lengthy drive or time commitment. Washington Park is just 10 minutes or so from downtown Portland, so you can easily schedule a Lyft or Uber ride for 10 bucks or so. It’s definitely worth it for a full day out in the gorgeous natural surroundings. I stayed at the Hotel Monaco and it only took about 10 minutes by Lyft to get to the park.